Looking for something new for the kids to try? Have a few hot days ahead? 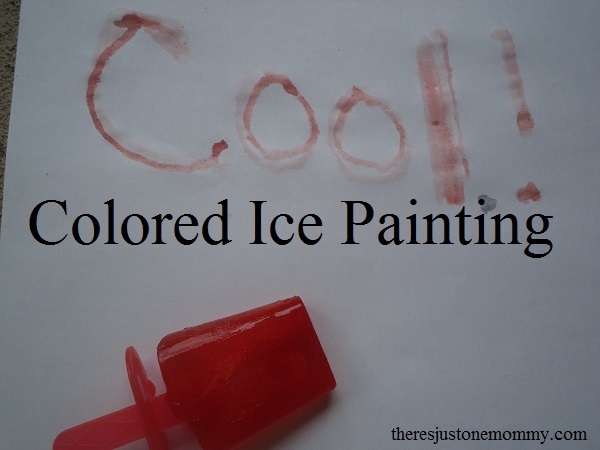 It’s the perfect combination for Colored Ice Painting! I’ve seen colored ice painting done numerous ways. I’ve seen some just use an ice cube tray to make the colored ice. Others use ice pop molds. I opted for an old ice pop mold, giving the kids a handle to hold their ice, kind of like a paint brush. 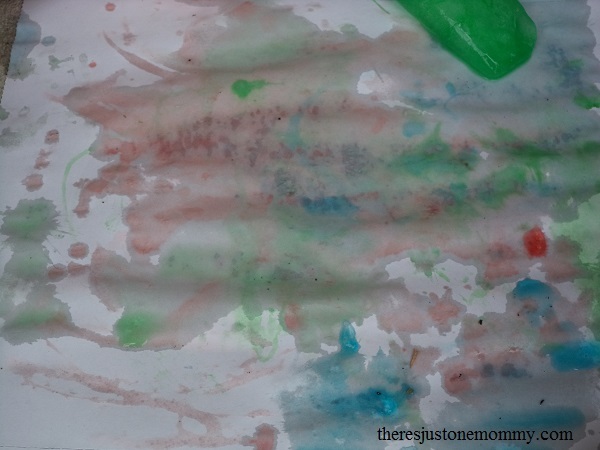 A few hours before our painting adventure I mixed several drops of food coloring with water for each of our colored ice “paint brushes.” Then I stuck them in the freezer until they were solid. 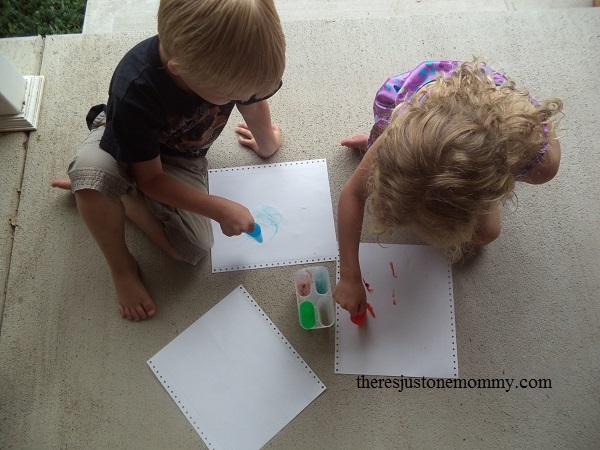 Once they were ready, I grabbed some paper, called for the kids, and we headed to the porch to paint! And when they dried they were beautiful! 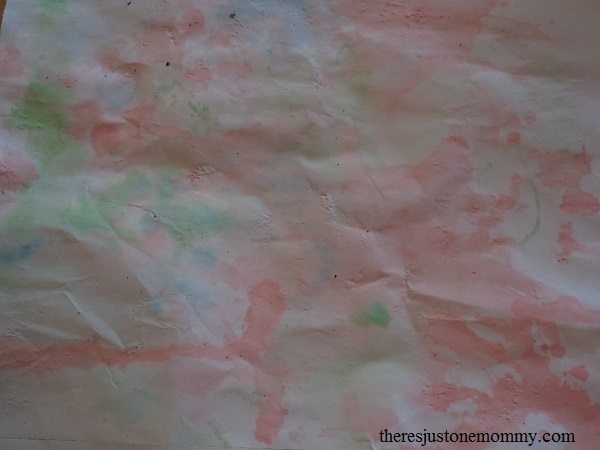 Have you painted with colored ice before? How did you make the colored ice? Looking for other ways to have fun and stay cool? Check out our water blob tutorial and ice investigation! What a fun way to spend the afternoon! I’ll add it to my list of things to do with my kids this summer. Thank you for sharing such an easy, artistic, and fantastic idea! I hope yours enjoy it as much as mine did! So fun! What a great idea for summer. I need to check my dollar store for those popsicle molds!! Have a great day! Oh, how fun!! We still have to try this. Thanks for sharing at Sharing Saturday! I’ve been seeing this colored ice painting a lot lately — must be because of the rising temperatures! Thanks for linking up with The Thoughtful Spot!